CanadaQBank is an online test preparation review service for the medical licensing exams of Canada. Our prep test features, accuracy and expertise in question and case creation will give you the very best studying preparation experience available to pass your Medical Council of Canada medical exam. Thousands of Canadian medical students and physicians worldwide use CanadaQBank to help them prepare for the MCCEE, the MCCQE Part 1, the MCCQE Part 2 and the USMLE Step 1 with our practice exams and questions. Please sign up and be on your way to passing these Canada medical exams with the highest scores possible, or check out our free Demo QBanks. 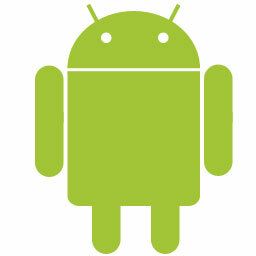 The very first, and only, Android app available for the MCCEE! CanadaQBank is an online test preparation service for the medical licensing exams of Canada. 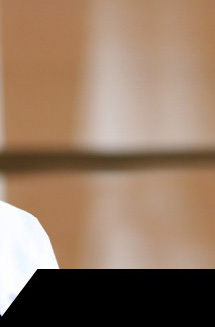 Our features, accuracy and expertise in question and case creation will give you the very best studying preparation experience available to pass your Medical Council of Canada (MCC) licensing exams. Thousands of Canadian medical students and physicians worldwide use CanadaQBank to help them prepare for the MCCEE, the MCCQE Part 1 and the MCCQE Part 2. 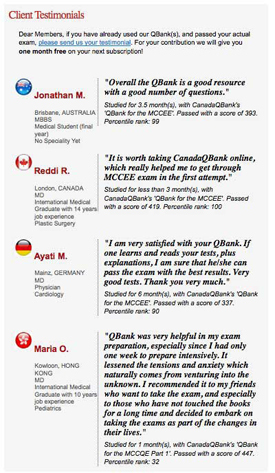 Please sign up and be on your way to passing these Canadian medical licensing exams with the highest scores possible, or check out our free Demo QBanks at www.CanadaQBank.com. This is the full version of our MCCEE app. You can access the full database of 3500+ MCCEE questions. Users will need to logon to the website at www.CanadaQBank.com to register and subscribe to the questions first, but can then access all questions from their Android phone or electronic device. Get Connected! Join Our Networks. 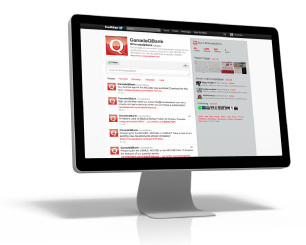 CanadaQBank is now on Twitter! Join the conversation to stay on top of CanadaQBank's most up-to-date news. Did you know that the CanadaQBank Facebook Group has over 7,000 members? Become a member for FREE today and discover a community full of others preparing to take the MCCEE and MCCQE Canadian Medical Licensing Exams. Learn from the knowledge of others, and together with CanadaQbank, become a wealth of knowledge yourself! Subscribe to our YouTube channel at www.youtube.com/user/canadaqbank/videos or visit our website at www.canadaqbank.com to learn how CanadaQBank works and how you can benefit from its QBanks. Discover the answers to your questions or share your expertise with others. 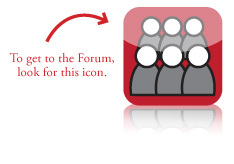 CanadaQBank.com has some great discussion forums at: http://board.canadaqbank.net/ The CanadaQBank Community looks forward to your posted messages, questions and comments. Get the latest about the MCCEE, MCCQE Part 1, MCCQE Part 2, USMLE Step 1and much more info related to working as a physician in Canada. 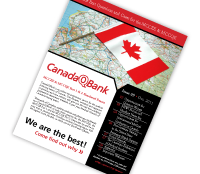 Enter your email address at //canadaqbank.com/newsletters.php. If you have already used our QBank(s), and passed your actual exam, please send us your testimonial. For your contribution we will give you one month FREE on your next subscription!